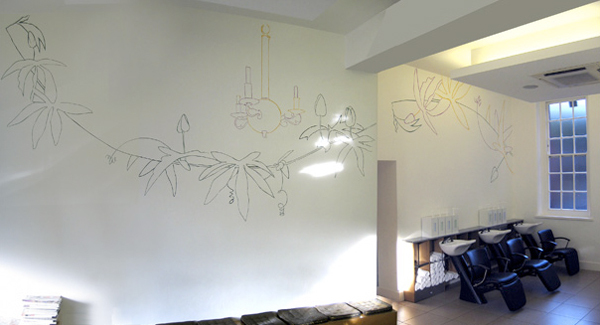 Hugo Dalton‘s wall drawings are so beautiful that I had to post them before I started work today. (Yes, I am in…) Great line work and great use of white space. Reminds me of the continuous line drawings we had to complete in studio. Very delicate. A salon in Chelsea, London.